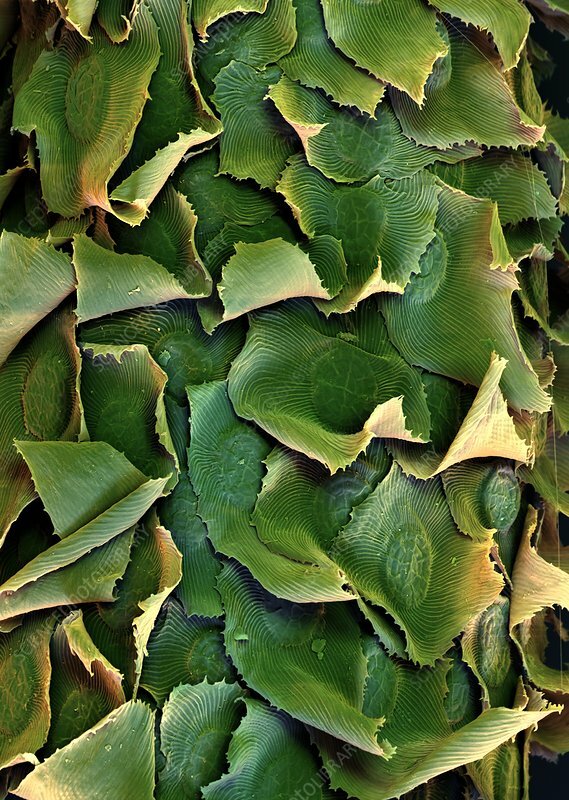 Spanish moss (Tillandsia usneoides) leaves, coloured scanning electron micrograph (SEM). This flowering plant is an epiphyte that grows on other trees. Its leaves are thin, curved and heavily scaled.